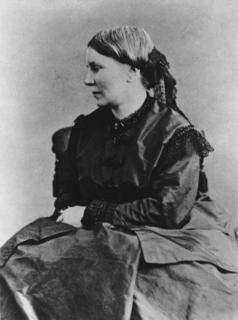 In 1849 Elizabeth Blackwell became the first female doctor in the U.S. after earning her M.D. from the Medical Institution of Geneva, N.Y.
Rebecca Lee Crumpler became the first black woman doctor in the U.S. in 1864. 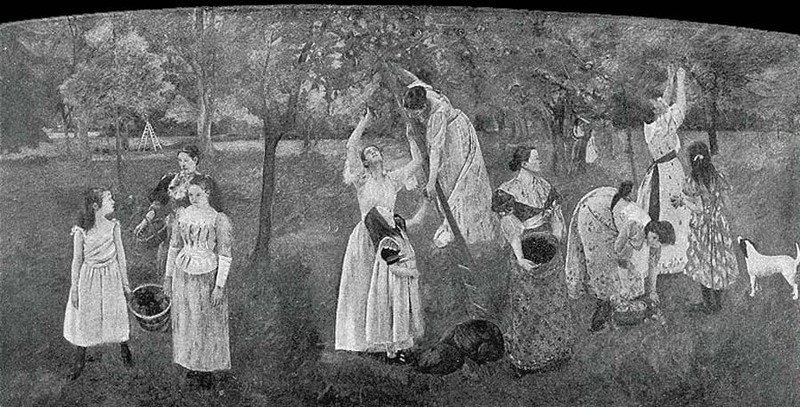 Mary Cassatt, Primitive Woman mural, 1893. Mary Cassatt, Modern Woman mural, 1893. Mary Cassatt, Modern Woman, Mural for World's Columbian Exposition, 1893. 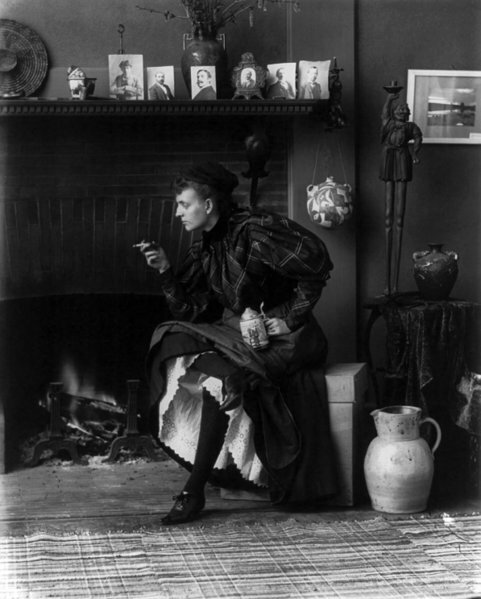 By 1893 a new female heroine emerged in the popular imagination called "The New Woman"
Frances Benjamin Johnson, Self-Portrait, c. 1896. 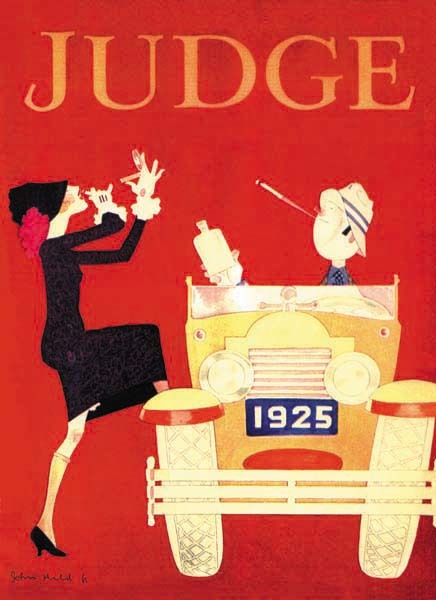 John Held Jr. Judge Magazine cover, 1925. Nicole Cawlfield, Maria Buszek Bluestocking, 2002. 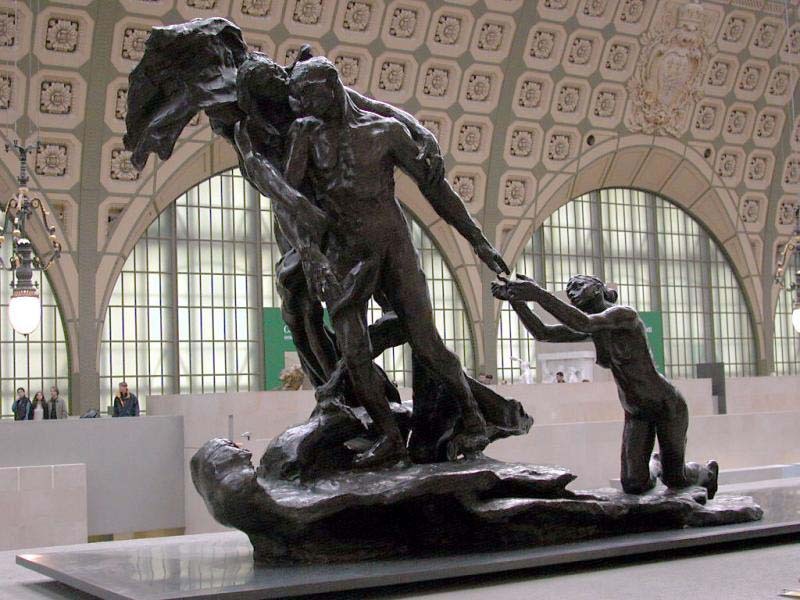 Camille Claudel, The Age of Maturity or Destiny, 1902. 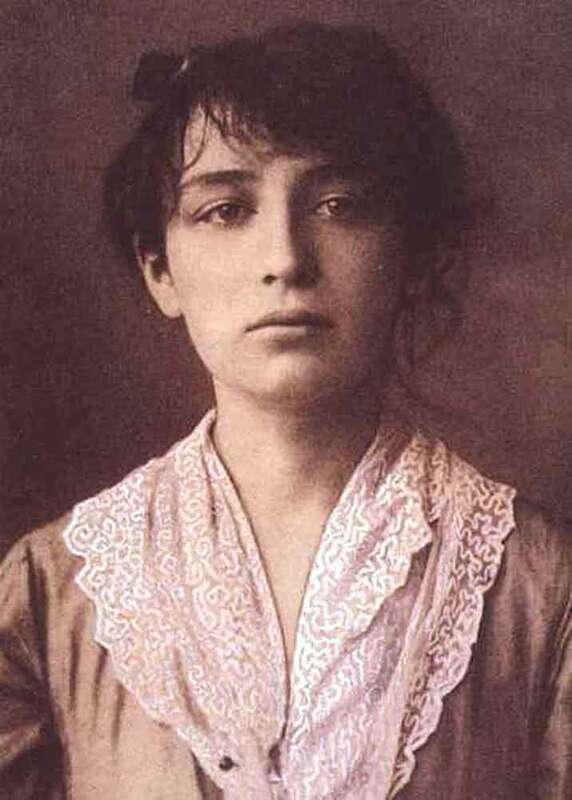 Artist, student, studio assistant, model, and lover of sculptor Auguste Rodin, Camille Claudel represents the emerging New Woman and the difficulties she encountered in her demand for equality and feedom from domesticity. During her career, Claudel received significant comissions and accolades. 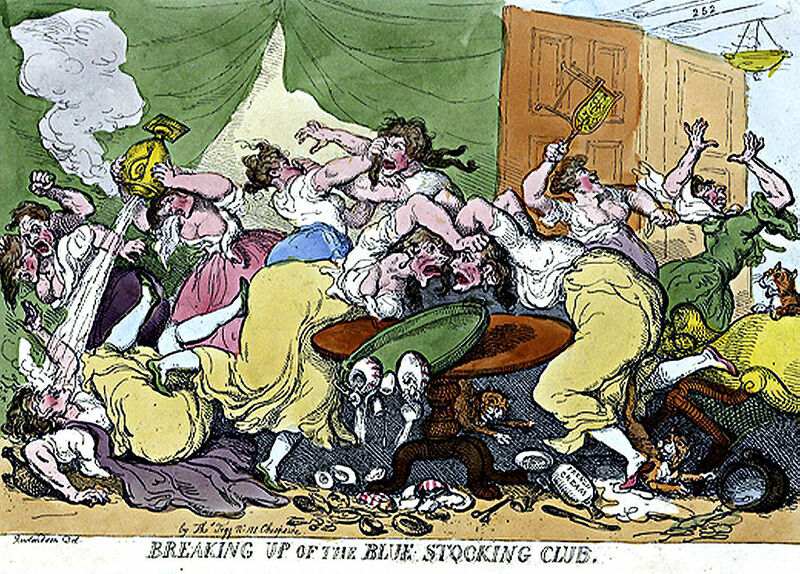 But after a difficult breakup with Rodin, she began to exhibit signs of mental instability. 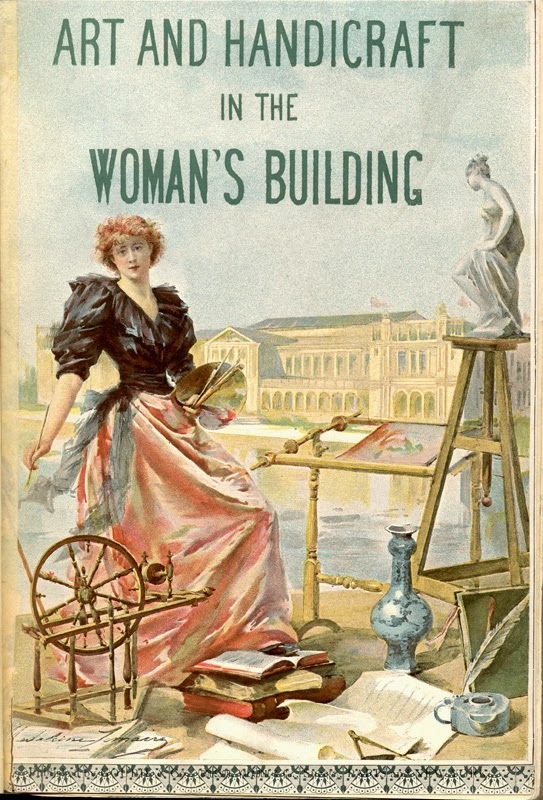 When her father (who supported her career as an artist) died, her mother and brother immediately had her committed to an insane asylum. 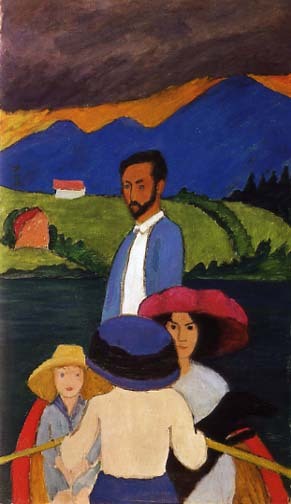 Despite repeated recommendations by Camille's doctors for ther release, the family refused. 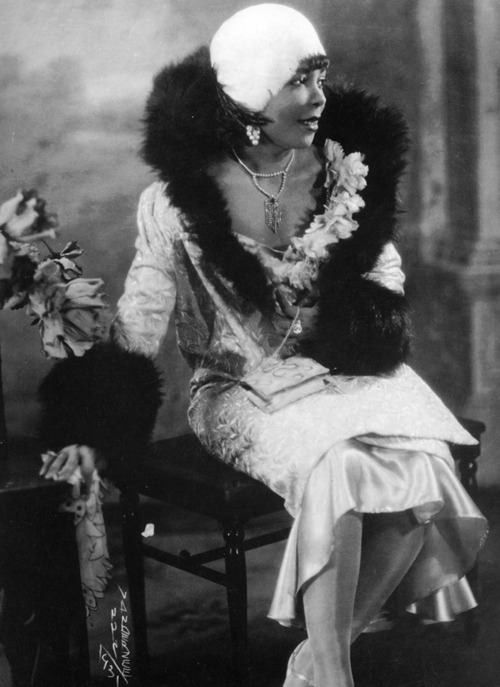 Camille remained in the asylum for 30 years until her death in 1943. 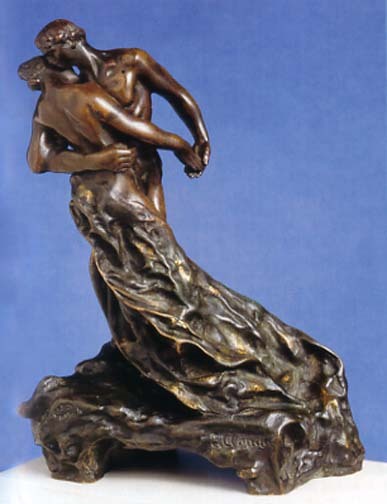 Camille Claudel, The Waltz, 1895. 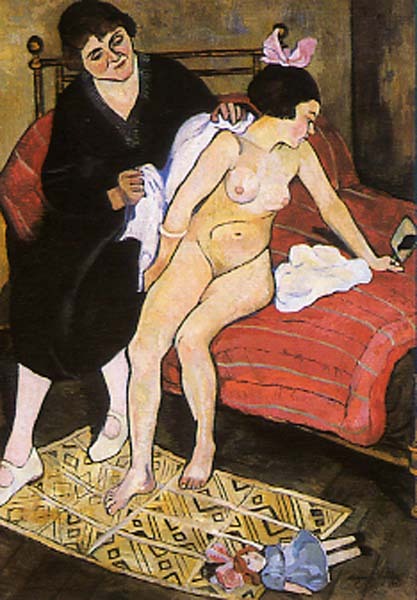 Suzanne Valadon, The Abandoned Doll, 1921. 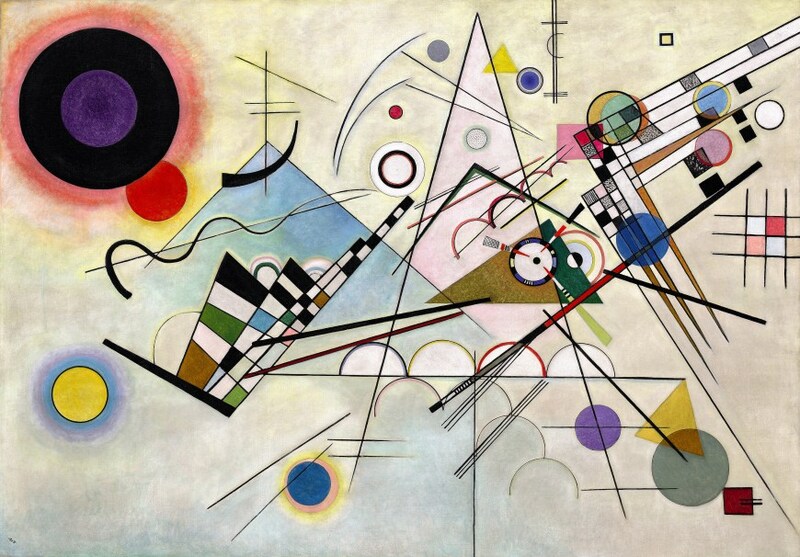 Vassily Kandinsky, Composition VIII, 1923.